"Hot coffee case" redirects here. For similar uses, see Hot Coffee (disambiguation). Stella Liebeck v. McDonald's Restaurants, P.T.S., Inc. and McDonald's International, Inc.
Liebeck v. McDonald's Restaurants, also known as the McDonald's coffee case and the hot coffee lawsuit, was a 1994 product liability lawsuit that became a flashpoint in the debate in the United States over tort reform. Although a New Mexico civil jury awarded $2.86 million to plaintiff Stella Liebeck, a 79-year-old woman who suffered third-degree burns in her pelvic region when she accidentally spilled hot coffee in her lap after purchasing it from a McDonald's restaurant, ultimately Liebeck was only awarded $640,000. Liebeck was hospitalized for eight days while she underwent skin grafting, followed by two years of medical treatment. Liebeck's attorneys argued that, at 180–190 °F (82–88 °C), McDonald's coffee was defective, claiming it was too hot and more likely to cause serious injury than coffee served at any other establishment. McDonald's had refused several prior opportunities to settle for less than what the jury ultimately awarded. The jury damages included $160,000 to cover medical expenses and compensatory damages and $2.7 million in punitive damages. The trial judge reduced the final verdict to $640,000, and the parties settled for a confidential amount before an appeal was decided. The case was said by some to be an example of frivolous litigation; ABC News called the case "the poster child of excessive lawsuits", while the legal scholar Jonathan Turley argued that the claim was "a meaningful and worthy lawsuit". Ex attorney Susan Saladoff however sees the manner in which the case was portrayed in the media, as purposeful misrepresentation due to political and corporate influences. In June 2011, HBO premiered Hot Coffee, a documentary that discussed in depth how the Liebeck case has centered in debates on tort reform. On February 27, 1992, Stella Liebeck, a 79-year-old woman from Albuquerque, New Mexico, ordered a 49-cent cup of coffee from the drive-through window of a local McDonald's restaurant located at 5001 Gibson Boulevard Southeast. Liebeck was in the passenger's seat of a 1989 Ford Probe which did not have cup holders. Her grandson parked the car so that Liebeck could add cream and sugar to her coffee. Liebeck placed the coffee cup between her knees and pulled the far side of the lid toward her to remove it. In the process, she spilled the entire cup of coffee on her lap. Liebeck was wearing cotton sweatpants; they absorbed the coffee and held it against her skin, scalding her thighs, buttocks, and groin. Liebeck was taken to the hospital, where it was determined that she had suffered third-degree burns on six percent of her skin and lesser burns over sixteen percent. She remained in the hospital for eight days while she underwent skin grafting. During this period, Liebeck lost 20 pounds (9.1 kg) (nearly 20% of her body weight), reducing her to 83 pounds (38 kg). After the hospital stay, Liebeck needed care for three weeks, which was provided by her daughter. Liebeck suffered permanent disfigurement after the incident and was partially disabled for two years. Liebeck sought to settle with McDonald's for $20,000 to cover her actual and anticipated expenses. Her past medical expenses were $10,500; her anticipated future medical expenses were approximately $2,500; and her daughter's loss of income was approximately $5,000 for a total of approximately $18,000. Instead, the company offered only $800. When McDonald's refused to raise its offer, Liebeck retained Texas attorney Reed Morgan. Morgan filed suit in New Mexico District Court accusing McDonald's of "gross negligence" for selling coffee that was "unreasonably dangerous" and "defectively manufactured". McDonald's refused Morgan's offer to settle for $90,000. Morgan offered to settle for $300,000, and a mediator suggested $225,000 just before trial, but McDonald's refused these final pre-trial attempts to settle. The trial took place from August 8–17, 1994, before New Mexico District Court Judge Robert H. Scott. During the case, Liebeck's attorneys discovered that McDonald's required franchisees to hold coffee at 180–190 °F (82–88 °C). Liebeck's attorney argued that coffee should never be served hotter than 140 °F (60 °C), and that a number of other establishments served coffee at a substantially lower temperature than McDonald's. They presented evidence that coffee they had tested all over the city was all served at a temperature at least 20°F (11°C) lower than what McDonald's served. Liebeck's lawyers also presented the jury with expert testimony that 190 °F (88 °C) coffee may produce third-degree burns (where skin grafting is necessary) in about 3 seconds and 180 °F (82 °C) coffee may produce such burns in about 12 to 15 seconds. Lowering the temperature to 160 °F (71 °C) would increase the time for the coffee to produce such a burn to 20 seconds. Liebeck's attorneys argued that these extra seconds could provide adequate time to remove the coffee from exposed skin, thereby preventing many burns. McDonald's claimed that the reason for serving such hot coffee in its drive-through windows was that those who purchased the coffee typically were commuters who wanted to drive a distance with the coffee; the high initial temperature would keep the coffee hot during the trip. However, it came to light that McDonald's had done research which indicated that customers intend to consume the coffee immediately while driving. Other documents obtained from McDonald's showed that from 1982 to 1992 the company had received more than 700 reports of people burned by McDonald's coffee to varying degrees of severity, and had settled claims arising from scalding injuries for more than $500,000. McDonald's quality control manager, Christopher Appleton, testified that this number of injuries was insufficient to cause the company to evaluate its practices. He argued that all foods hotter than 130 °F (54 °C) constituted a burn hazard, and that restaurants had more pressing dangers to worry about. The plaintiffs argued that Appleton conceded that McDonald's coffee would burn the mouth and throat if consumed when served. A twelve-person jury reached its verdict on August 18, 1994. Applying the principles of comparative negligence, the jury found that McDonald's was 80% responsible for the incident and Liebeck was 20% at fault. Though there was a warning on the coffee cup, the jury decided that the warning was neither large enough nor sufficient. They awarded Liebeck $200,000 in compensatory damages, which was then reduced by 20% to $160,000. In addition, they awarded her $2.7 million in punitive damages. As per the New York Times, the jurors arrived at this figure from Morgan's suggestion to penalize McDonald's for two days' worth of coffee revenues, which were about $1.35 million per day. The judge reduced punitive damages to $480,000, three times the compensatory amount, for a total of $640,000. The decision was appealed by both McDonald's and Liebeck in December 1994, but the parties settled out of court for an undisclosed amount less than $600,000. The Albuquerque Journal ran the first 697 words story of the verdict, followed by the Associated Press wire, which was in turn picked up by news papers around the world, however as the story spread, its word count grew smaller, preventing people from learning the more important details. The case is considered by some to be an example of frivolous litigation. ABC News called the case "the poster child of excessive lawsuits". Jonathan Turley called the case "a meaningful and worthy lawsuit". McDonald's asserts that the outcome of the case was a fluke, and attributed the loss to poor communications and strategy by an unfamiliar insurer representing a franchise. Liebeck's attorney, Reed Morgan, and the Association of Trial Lawyers of America defended the result in Liebeck by claiming that McDonald's reduced the temperature of its coffee after the suit, although it is not clear whether McDonald's in fact had done so. Detractors have argued that McDonald's refusal to offer more than an $800 settlement for the $10,500 in medical bills indicated that the suit was meritless and highlighted the fact that Liebeck spilled the coffee on herself rather than any wrongdoing on the company's part. They also argued that the coffee was not defective because McDonald's coffee conformed to industry standards, and coffee continues to be served as hot or hotter today[when?] at McDonald's and chains like Starbucks. [needs update] They further stated that the vast majority of judges who consider similar cases dismiss them before they get to a jury. Liebeck died on August 5, 2004, at age 91. According to her daughter, "the burns and court proceedings (had taken) their toll" and in the years following the settlement Liebeck had "no quality of life", and that the settlement had paid for a live-in nurse. In McMahon v. Bunn Matic Corporation (1998), Seventh Circuit Court of Appeals Judge Frank Easterbrook wrote a unanimous opinion affirming dismissal of a similar lawsuit against coffeemaker manufacturer Bunn-O-Matic, finding that 179 °F (82 °C) hot coffee was not "unreasonably dangerous". In Bogle v. McDonald's Restaurants Ltd. (2002), a similar lawsuit in England failed when the court rejected the claim that McDonald's could have avoided injury by serving coffee at a lower temperature. Since Liebeck, major vendors of coffee, including Chick-Fil-A, Starbucks, Dunkin' Donuts, Wendy's, Burger King, hospitals, and McDonald's have been defendants in similar lawsuits over coffee-related burns. In 1994, a spokesman for the National Coffee Association said that the temperature of McDonald's coffee conformed to industry standards. An "admittedly unscientific" survey by the LA Times that year found that coffee was served between 157 and 182 °F (69 and 83 °C), and that two coffee outlets tested, one Burger King and one Starbucks, served hotter coffee than McDonald's. Since Liebeck, McDonald's has not reduced the service temperature of its coffee. McDonald's policy today[when?] is to serve coffee at 176–194 °F (80–90 °C), relying on more sternly worded warnings on cups made of rigid foam to avoid future liability, though it continues to face lawsuits over hot coffee. The Specialty Coffee Association of America supports improved packaging methods rather than lowering the temperature at which coffee is served. The association has successfully aided the defense of subsequent coffee burn cases. Similarly, as of 2004, Starbucks sells coffee at 175–185 °F (79–85 °C), and the executive director of the Specialty Coffee Association of America reported that the standard serving temperature is 160–185 °F (71–85 °C). On June 27, 2011, HBO premiered a documentary about tort reform problems titled Hot Coffee. A large portion of the film covered Liebeck's lawsuit. This included news clips, comments from celebrities and politicians about the case, as well as myths and misconceptions, including how many people thought she was driving when the incident occurred and thought that she suffered only minor superficial burns. The film also discussed in great depth how Liebeck v. McDonald's Restaurants is often used and misused to describe a frivolous lawsuit and referenced in conjunction with tort reform efforts. It contends that corporations have spent millions promoting misconceptions of tort cases in order to promote tort reform. In reality, the majority of damages in the case were punitive due to McDonald's' reckless disregard for the number of burn victims prior to Liebeck. On October 21, 2013, The New York Times published a Retro Report video about the media reaction and an accompanying article about the changes in coffee drinking over 20 years. The New York Times noted how the details of Liebeck's story lost length and context as it was reported worldwide. The report underscored that the narrative of the story was distorted in the media, in which the "condensed telling of the story created its own version of the truth" where McDonald's rather than Liebeck was portrayed as the victim. An October 25 follow-up article noted that the video had more than one million views and had sparked vigorous debate in the online comments. ^ a b c d e f g h Gerlin, Andrea (September 1, 1994). "A Matter of Degree: How a Jury Decided that a Coffee Spill is Worth $2.9 Million" (PDF). Wall Street Journal. Archived from the original (PDF) on September 23, 2015. Retrieved June 18, 2015. 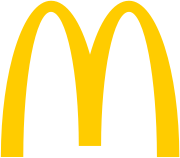 ^ a b "The Actual Facts About – The Mcdonalds' Coffee Case"
^ "McDonalds settles law suit over burn from coffee". Wall Street Journal. ^ Pachchia, Lee (28 June 2011). "Hot coffee filmmaker and ex attorney says contributions produce biased judges". Bloomberg. ^ a b Doroshow, Joanne (June 26, 2011). "Watch Hot Coffee, a Powerful New Film on HBO June 27". Huffington Post. Retrieved 28 June 2011. ^ a b Schmerler, Jessica (December 5, 2011). "Frivolous Lawsuits and How We Perceive Them". Yale Journal of Medicine and Law. VIII (1). Archived from the original on 4 June 2012. Retrieved 5 June 2013. ^ Tucker, Ken (June 27, 2011). "The must-watch TV show of the night: 'Hot Coffee' on HBO". Entertainment Weekly. Retrieved 28 June 2011. ^ Kirsty Horsey; Erika Rackley (18 July 2013). Tort Law. Oxford University Press. pp. 356–. ISBN 978-0-19-966189-3. ^ William Haltom; Michael McCann (15 November 2009). Distorting the Law: Politics, Media, and the Litigation Crisis. University of Chicago Press. pp. 186–. ISBN 978-0-226-31469-3. ^ Document 00689724 - McDonalds scalding: woman burned by hot cofee gets $2.9 million. Albuquerque: Associated Press. 18 August 1994. ^ Anthony J. Sebok, Dispatches from the Tort Wars: A Review Essay, 85 Tex. L. Rev. 1465, 1509–10. ^ See, e.g., McMahon v. Bunn-O-Matic, 150 F.3d 651, 654 (7th Cir. 1998)(listing cases). ^ Toby Smith (January 6, 2009). "Student Measured Heat in Coffee Case". Albuquerque Journal. Retrieved May 16, 2015. ^ Hurtado, Linda (2011-02-12). "Local woman sues National Franchise over coffee". ABC Action News. The E.W. Scripps Co. Retrieved 2013-03-22. ^ "Burned woman sues Burger King". 3 News NZ. January 10, 2012. ^ O'Brien, John (2006-06-06). "Woman's estate sues over hot coffee". The West Virginia Record. Madison County Record, Inc. Retrieved 2013-03-22. ^ Behme, Todd J. (March 23, 2012). "McDonald's hit with 2 hot-coffee lawsuits". Crain's Chicago Business. Retrieved 2013-04-21. ^ Denise Gellene (1994-09-16). "A Hot Tip for Coffee Lovers: Most Retailers Prefer to Make It Scalding". Los Angeles Times. ^ a b "Burger chain sued after boy's ordeal". Cambridge News. Cambridge Newspapers Ltd, Cambridge UK. 2007-06-22. Archived from the original on May 15, 2009. Retrieved 2008-05-14. Matthew Allen, 10, suffered second degree burns after he bumped into his mum's tray and the drink tipped on to his arm. ... He saw a plastic surgeon because it was feared he would need a skin graft. ... McDonald's says its black coffee should be served at 85 °C, plus or minus five degrees. ^ Greenlee, 26 Cap. U.L. Rev. 701, 724 (citing Lesly Pogerew v. Brothers Gourmet Coffees Inc., No. 96-CV-93848 (Denver Co., Dist. Ct., CO November 19, 1997)). ^ a b "Scalded by Coffee, Then News Media". Retro Report. The New York Times. October 21, 2013. Retrieved October 26, 2013. ^ Stout, Hilary (October 21, 2013). "Not Just a Hot Cup Anymore". Retro Report. The New York Times. Retrieved October 26, 2013. ^ "Scalded by Coffee, Then News Media". Retro Report. The New York Times. October 21, 2013. Event occurs at 6:45–11:35. ^ Bertram, Bonnie (October 25, 2013). "Storm Still Brews Over Scalding Coffee". Retro Report. The New York Times. Retrieved October 26, 2013. Rutherford, Denney G. (1998). "Lessons from Liebeck: QSRs Cool the Coffee". Cornell Hotel and Restaurant Administration Quarterly. 39 (3): 72–75. doi:10.1177/001088049803900314. ISSN 0010-8804. Enghagen, Linda K.; Gilardi, Anthony (2002). "Putting things in perspective: McDonald's and the $2.9-million cup of coffee". Cornell Hotel and Restaurant Administration Quarterly. 43 (3): 53–60. doi:10.1016/S0010-8804(02)80018-0. ISSN 0010-8804. The Full Story Behind the Case and How Corporations Used it to Promote Tort Reform? – video report by Democracy Now! This page was last edited on 20 April 2019, at 02:40 (UTC).